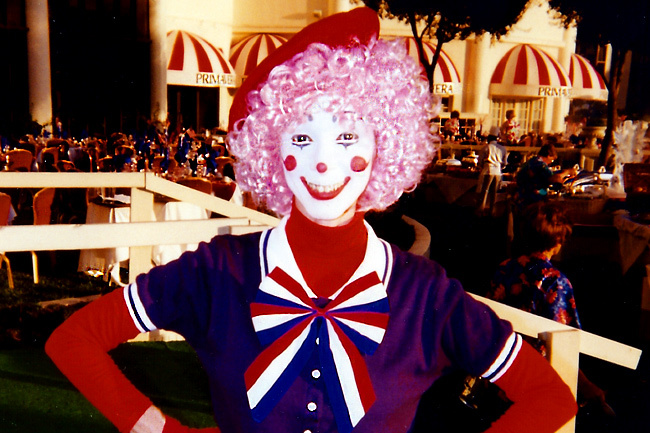 Hire one of our Las Vegas clowns for your next event! Our clowns are multi talented and can perform magic tricks, twist balloon animals, face paint and more! If you are looking for a specific type of clown, we can help you with that too. Let us know what you’re looking for and we will provide the perfect clown in Las Vegas that fits your criteria. Hiring clowns in Las Vegas has never been easier! 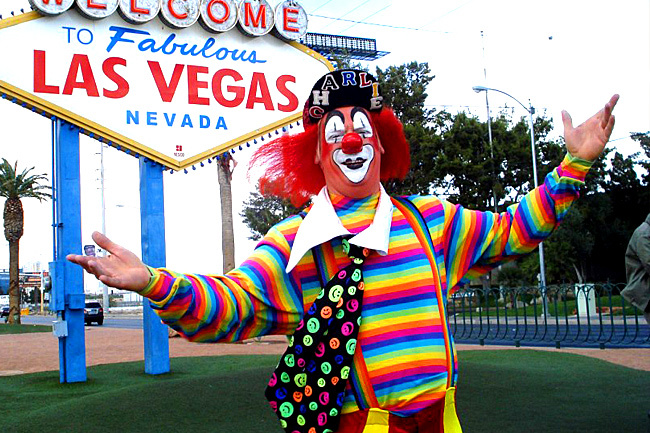 Las Vegas clowns are great for attracting attention to any kind of Grand Opening & Sales Event. Some of our clowns have appeared at Harvest Festivals, State Fairs, School Carnivals and Parades and know how get the attention of potential customers. 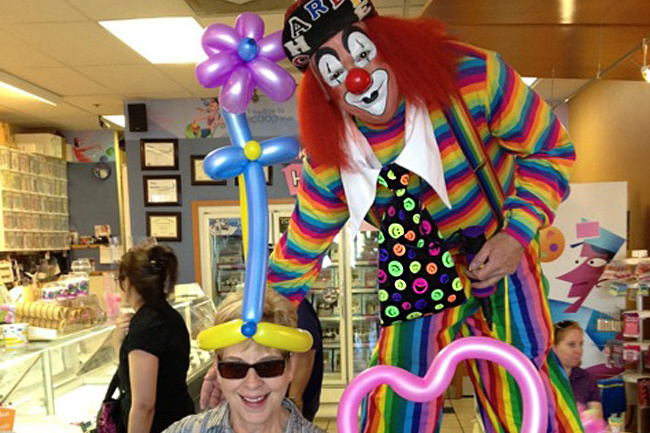 Our clowns can be hired for any size party or event. When families drive by your business and see clowns, they are compelled to see what’s going on and be part of the festivities. Looking to add some excitement to your next party or company meeting? We can teach your guests how to be clowns and show them the art of applying clown make-up. What better way to shake things up while having fun and creating a memory that will last a lifetime. Las Vegas Clowns bring laughter to any event! 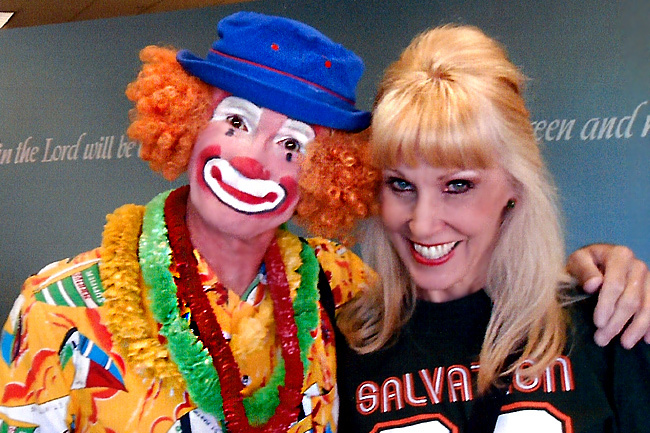 Contact Us To Schedule A Las Vegas Clown Today! 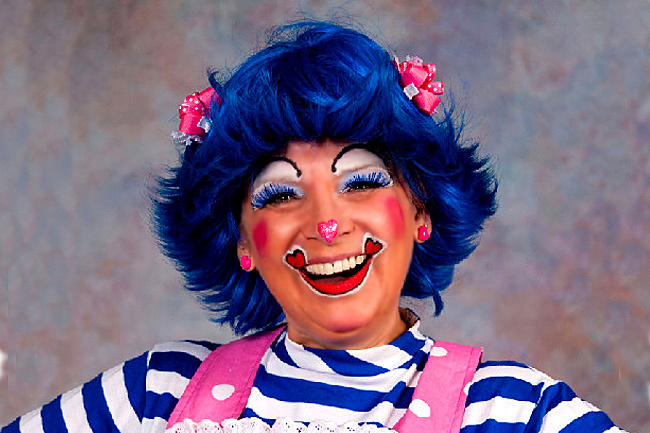 Click Here – to view some interesting facts about the history of clowns.